The approach taken to wound care should depend on many individual factors. Dr. Yasser Salem at Quantum Healthcare in Crivitz, Wisconsin are highly experienced physicians who have spent more than three decades caring for patients. With our physicians expert care, you'll have fast healing wounds that allow you to get back to your life again at last. How Long Does It Usually Take a Wound to Heal? Wound healing time can vary based on the type of wound, the depth of the wound, and the patient's own healing ability. The majority of minor wounds tend to heal within just a few days, especially if the wound isn't very deep. Some wounds are slower to heal, especially deeper cuts that go through several layers of skin. Diabetes sufferers often have delayed wound healing, and it can be very challenging for them to fully heal wounds in the extremities and in other areas. For that reasons, it's especially vital that diabetic patients be very vigilant about wound care. This may involve coming into the Quantum Healthcare office regularly to have dressing changes and to be evaluated by one of our physicians. All of these signs of wound infection should be taken seriously. If the wound is infected, it can cause some serious problems for not just the wound but for your entire body over time. 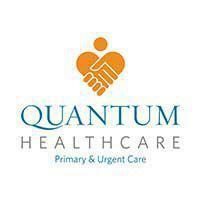 if you have any or all of the signs of wound infection, contact the Quantum Healthcare team as soon as possible. Our physicians are highly experienced in wound care and are ready to help.